“True Stories” From Blanket Glacier! A Pineapple Express may sound delicious but this warm Pacific airflow created some interesting weather conditions for our week up at the Blanket Glacier Chalet from March 8-16. We arrived in Revelstoke Friday evening to Spring like conditions which had many of us worried about skiing but the flowers were a good distraction! Saturday morning Marion, our host, started a mad dash to meet the helicopter when she informed us that we had our departure times wrong and where an hour late. We were soon whirling our way from the muddy valley through blue skies into the snow zone surrounding the Blanket Chalet. 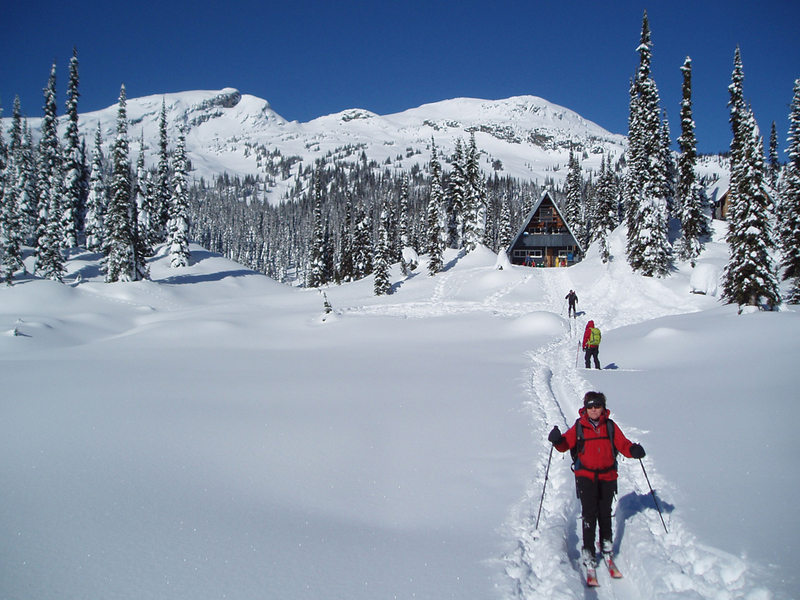 This entry was posted in Mountain Tours, Trip Reports and tagged Alpine Touring, Backcountry Skiing, Blanket Glacier, Telemark Skiing on 2013/04/01 by parkland. 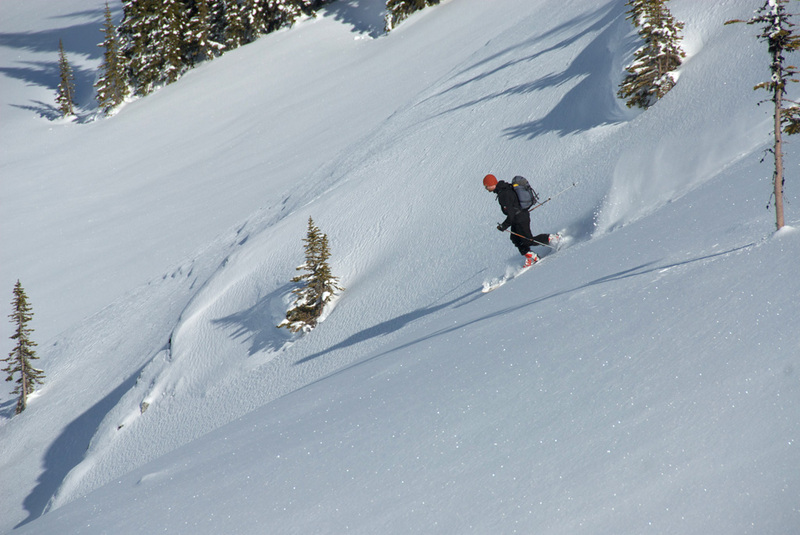 Backcountry skiers dream of carving turns in beautiful soft powder snow. 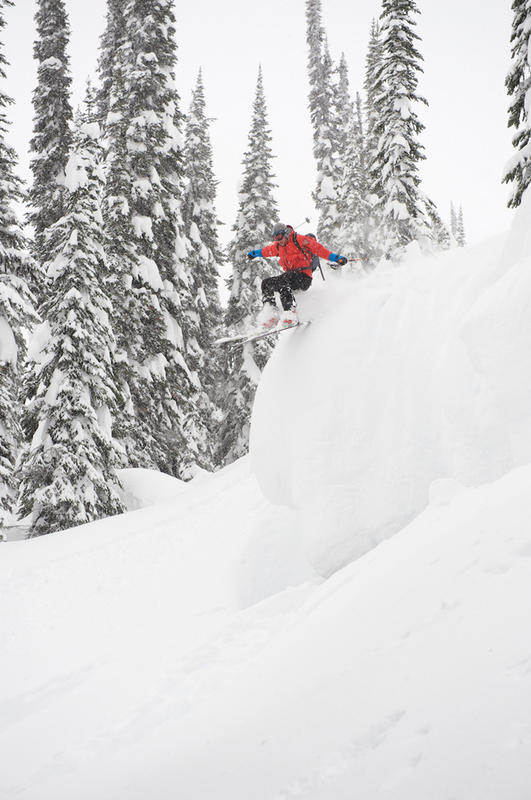 We may have exceeded our dreams with 165 cms of new snow (over 5 feet) on our Blanket Glacier trip from March 18-25. Too much of a good thing! This entry was posted in Mountain Tours, Trip Reports and tagged Alpine Touring, Backcountry Skiing, Blanket Glacier, Blanket Glacier Chalet, Telemark Skiing on 2012/03/01 by parkland. OK! It looks like nobody else is going to write this trip report so this is my opportunity to tell some lies about the great group of people we had on this trip. Blanket Glacier is a short 7 minutes helicopter ride from a little south of Revelstoke and it is renowned for its snow; in fact on average 25 meters of snow falls which translates into about a 9 meter base. We have been told if you get 1 or 2 days without snow falling you are lucky but, for the second year in a row, we have been fortunate with only 2 overcast days each week. This entry was posted in Mountain Tours, Trip Reports and tagged Alpine Touring, Backcountry Skiing, Blanket Glacier, Blanket Glacier Chalet, Telemark Skiing on 2011/04/01 by parkland.